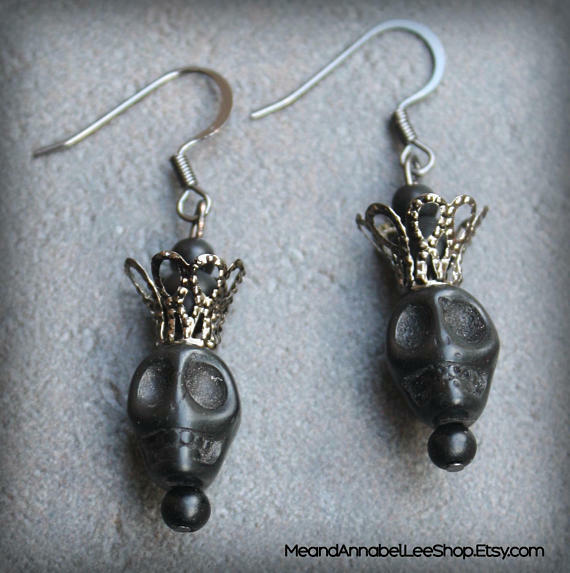 This week's Goth Shop of the Week is Me and Annabel Lee. 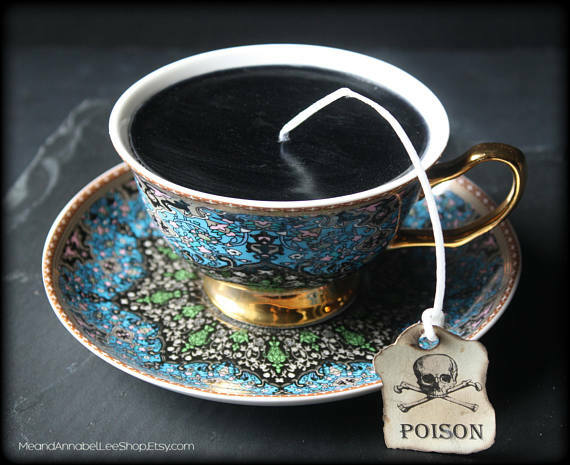 I of course was immediately drawn to the Edgar Allan Poe reference in the name, and I'm enjoying exploring their offerings of gothic jewelry and elegant Victorian inspired dark candles. 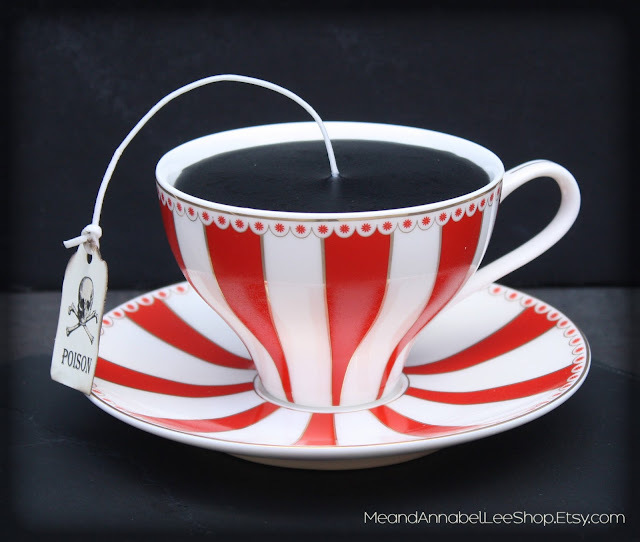 The candles are made from Victorian style tea cups filled with wax and fragranced with essential oils. Also on offer are Victorian-inspired necklaces and skull earrings.